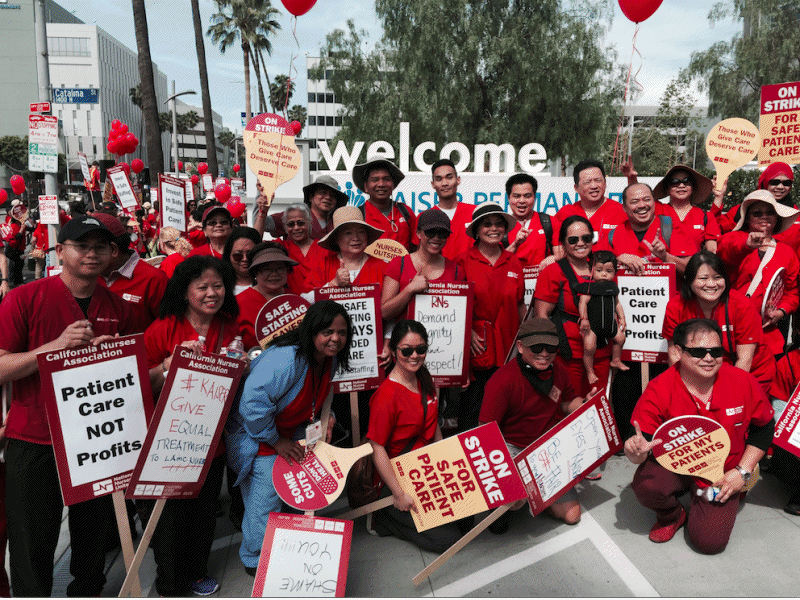 Nurses strike at Kaiser Medical Center in Los Angeles April 30. Some 5,000 registered nurses, organized by the California Nurses Association and National Nurses United, went on a one-day strike or marched on picket lines April 30 after contract negotiations with the Sutter Health hospital corporation hit a dead end. Despite raking in more than $3 billion in profits over the last five years and paying its CEO an obscenely high $6 million salary in 2013, Sutter continues to demand cuts to nurses’ health care plans and dangerously low staffing levels at its hospitals. Emergency room nurse Debra Bucculatto told the press: “We need adequate health care for ourselves and for our families along with staffing conditions that are safe. As it is, Sutter is trying to cut corners despite tremendous profits, but nurses deserve basic essentials … [like] quality health coverage and safe staffing.” (National Nurses United, April 29) Sutter hospital nurses were joined by thousands of nurses at Kaiser Permanente and Providence Health hospitals in various cities who also walked off the job to protest corporate policies that promote profit above decent health care. While politicians campaign across the country making empty promises about “economic opportunity” and a fair shot at the “American dream,” workers at the U.S. Senate’s own cafeteria struggle just to make ends meet. That’s why contracted food service and janitorial workers at U.S. federal buildings in Washington, D.C., went on a one-day strike April 22 to demand fair wages and collective bargaining rights. Among those taken by workplace tragedies in 2015 was 40-year-old construction worker Trevor Loftus, who was killed April 24 in New York City in a freak accident when the hydraulic system on the crane he was operating failed, crushing him. 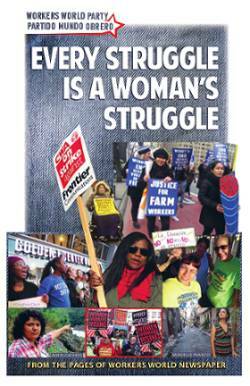 (New York Daily News, April 24) Workers need strong, fighting unions to ensure workplace safety and a totally different economic system where human lives are valued above profits.